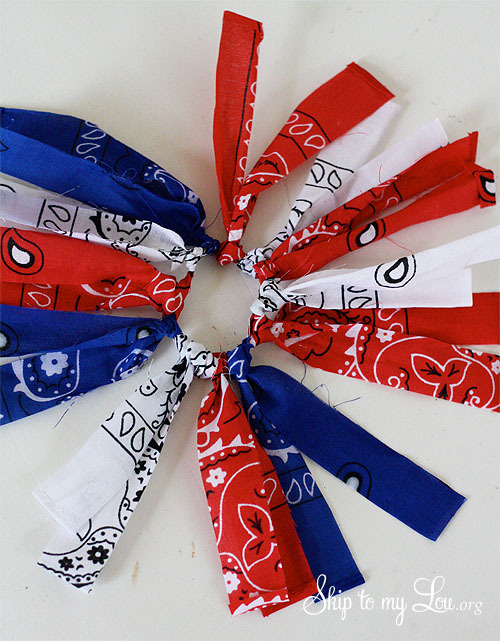 Bella made these festive ponytail holders for her and her friends for our Fourth of July parade. 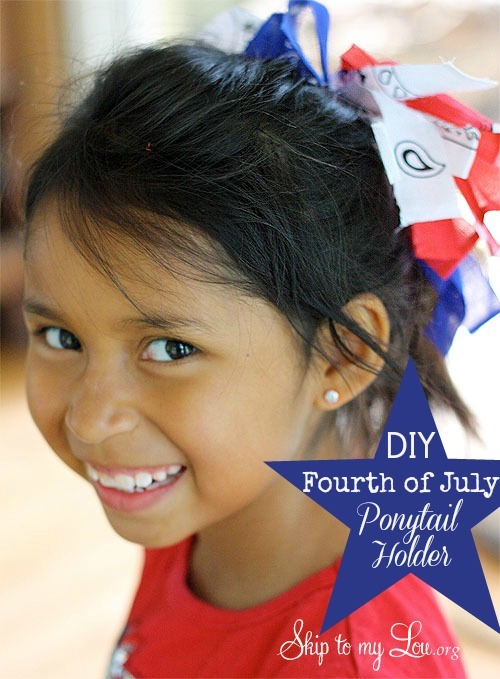 These ponytail holders are the perfect craft for 8 year old girls! This is one of the many fun crafts we have been doing this summer. Michaels has challenged us to have a crafty summer and we are working hard at it. 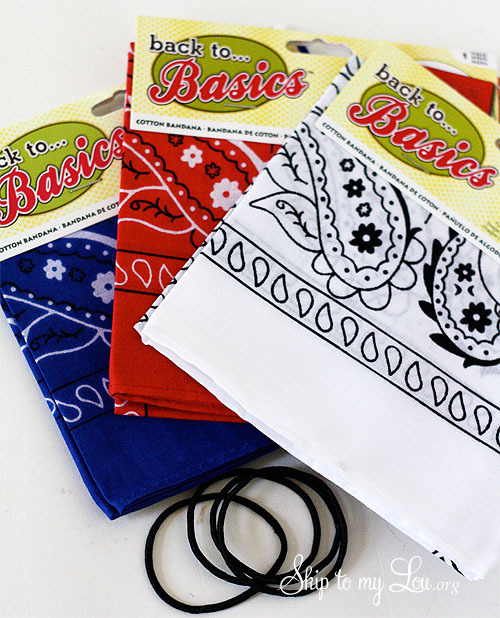 You will need a red, a white and a blue bandana and elastic ponytail holders. 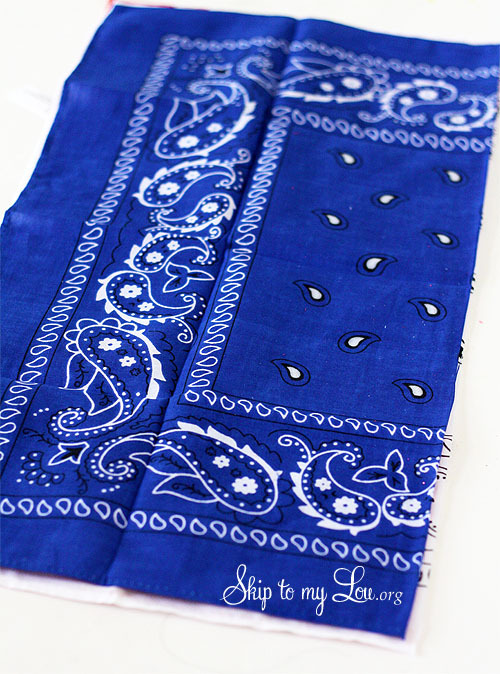 Cut the bandanas in half. 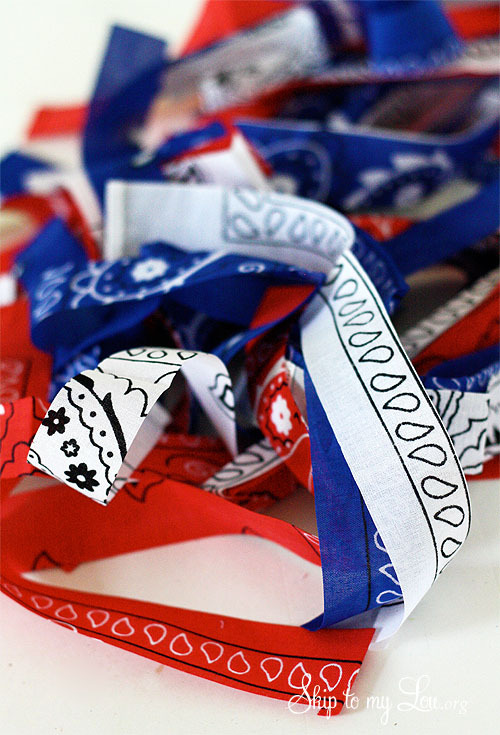 Then cut the bandana in one inch strips. This can easily be done with scissors and it doesn’t have to be exact. I cut the strips for Bella with a rotary cutter. Each elastic ponytail holder will need about 12 strips. 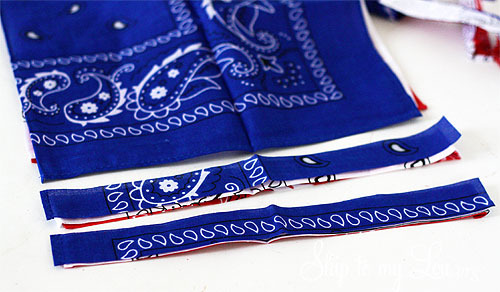 Fold the strip of bandana in half and slip it under the elastic band. Place one hand through loop and grab the ends and pull them through the loop. Our trick for keeping the elastic band straight and having a clear space to tie is to place the elastic band on your ankle! Continue making lark’s head knots all the way around the elastic band until you cannot see the elastic band. 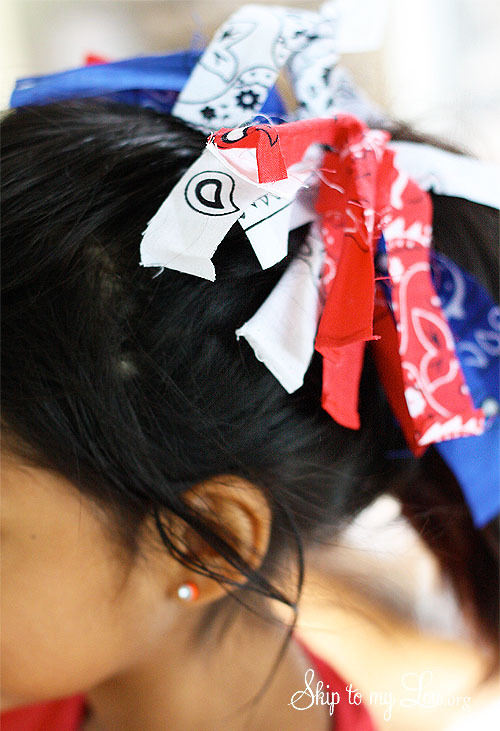 Now Bella and her friends with have festive hair for the Fourth and we have had fun crafting! My daughter & I made these for her to take to camp. She shared them with the girls in her cabin, and they all wore matching ones on Squad Day. Thanks for the great idea! Lovely!! Thanks for sharing the name of the knot and the pictorial! What a neat, festive hair decoration. And I never knew what that knot was called. Now I know, thank you. So proud of Bella for making these adorable pony tail holders! Don't I have THE cutest niece ever?!? Great job, sweet girl! This is darling. I can't wait to make some for my girls! !